Heineken Management, the proud sponsor of UEFA Champions league was at Government House, Uyo to officially invite the State Governor, Mr. Udom Emmanuel to today’s #UnmissableMatch to be played at the Godswill Akpabio Stadium in Uyo by 5pm. Carles Puyol Saforcada, UEFA Champions League legend and former FC Barcelona ace defender, more popularly known as Puyol, arrived in Nigeria yesterday with the iconic UEFA Champions League trophy which will be on Tour in Uyo and Lagos. 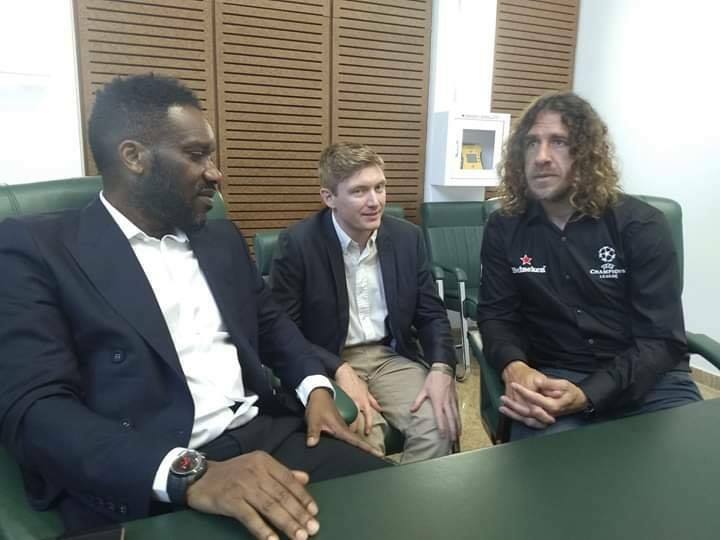 The Unmissable Match will feature former Barcelona and Spain defender, Carles Puyol as captain of the of the Chairman team accompanied by 10 other players from Akwa United against the Shine Shine Bobo team with Austin Okocha as the captain including other ex-internationals and the state commissioner for information, Charles Udoh.